The Beauty Scoop! : Wordless Wednesday - ORLY Nail Polish Competition! Wordless Wednesday - ORLY Nail Polish Competition! 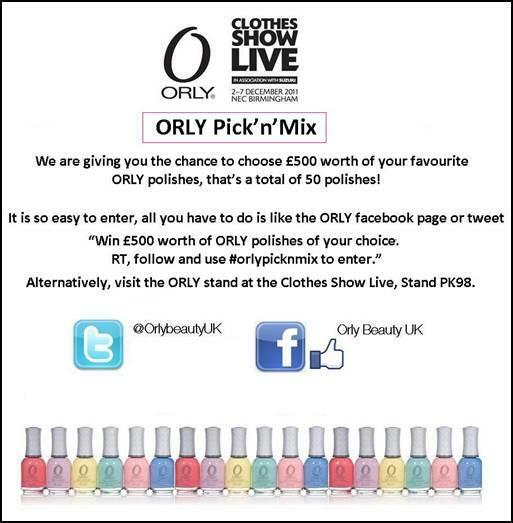 Fabulous looking competition, think I might have to enter this one myself as ORLY make the most A-MAZING nail polish! Go enter guys!